Website Support. If you have a website and need a team of experienced programmers to work for it, you can bring it very easily and quickly under our care. It is true that there is a large number of websites that have been developed, but never updated. A website that isn’t up to date might create many problems for a company. You can contact with our technicians daily via phone, email or Skype. Your requirements are fulfilled quickly and properly. Our programmers are able to consult you about the progress of your website, as well as give you advice about how to better advertise it. Every website should be regularly update both in content as well as in functionality. We take up updating and maintaining your website on a monthly basis. We have 2 basic support packages. The first package offeres hosting services – a Hosting Server and backup security features. This security guarantees that in case of breakdown or malicious attacks, we fix your website with no extra cost. The second plan offers all the above, but also fixing your website’s content and text. 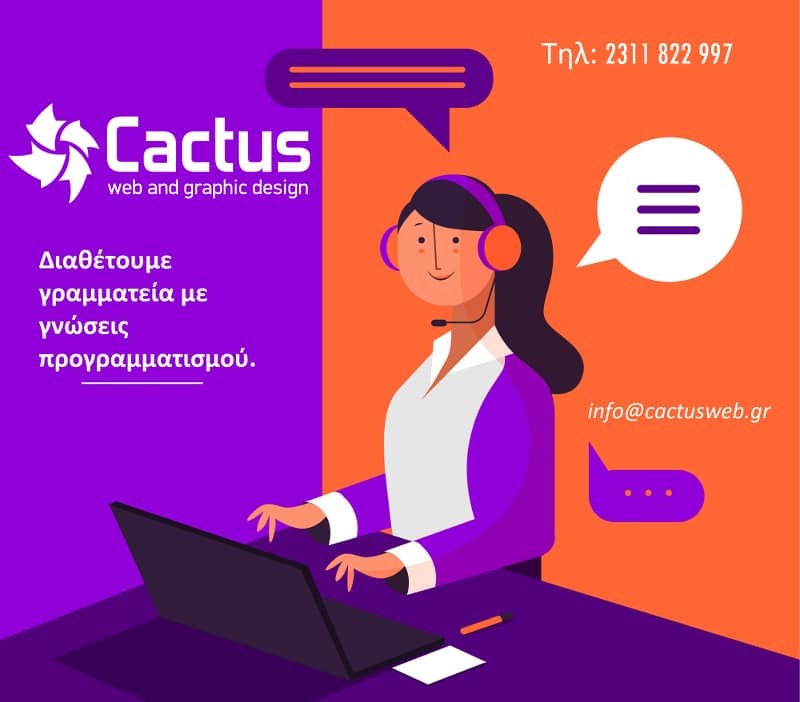 Cactus is a web development Company with a team of professionals ready to meet your need with passion and dedication. Cactus is one of the first companies in the field of software.